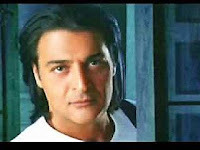 Abdel Hamid Ali Ahmed El Shari (حميد الشاعري) known as Hamid El Shaeri, is a Libyan musician and singer currently residing in Egypt. He has also been credited as Hameed Al Shaeri and Hamid El Shaery. He is the founder of Egyptian Jeel music. Al Jeel, also known as Jeel, Geel or James Lee, is an Egyptian alternative to foreign popular forms of music that developed in the 1970s. Modeled after foreign rock and roll and pop music, Al Jeel became oriented around dance/pop, and had a background similar to reggae. Al Jeel also included many distinctively Egyptian characteristics, somewhat related to past Egyptian musical influences. This is one of my favorite songs by Hamid El Shaeri and has quite a distinct Libyan influence Hely Meli.